The project, which is based at Wright-Patterson Air Force Base in Dayton, Ohio, was revealed in the March issue of the National Geographic magazine. Air Force officials said they have already produced tiny remote-control prototypes - but they consume so much power that can only operate for a few minutes. Researchers estimate that it will take several years of advances in battery technology to make the designs feasible. Still, the Air Force has a clear concept of what it hopes to accomplish with the program. 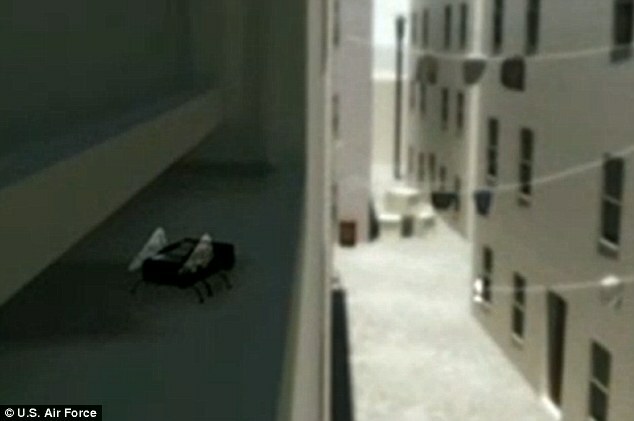 The promotional video begins with a swarm of tiny drones be dropped on a city from a passing plane. The drones will work in concert to patch together a wide, detailed view of the battlefield - singling out individual targets without losing sight of the broader scene. 'Data will be communicated among the MAVs to enable real time, reliable decision-making and to provide an advanced overall picture for other platforms or operators,' the Air Force says. 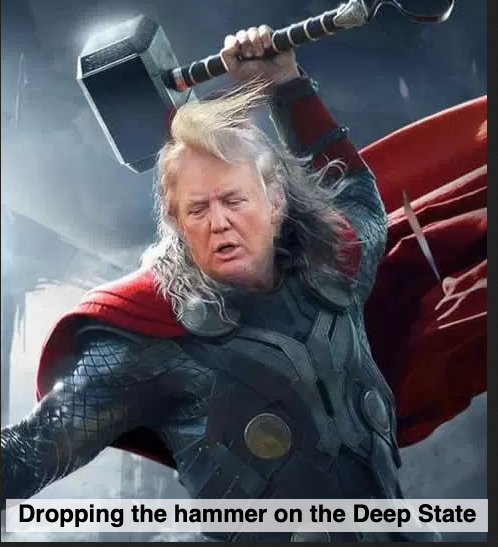 As the drones fall, they begin to fly - not like planes, but like insects. High frequency flapping wings allow the drones to hover and maneuver in tight spaces. The military has already produced a drone patterned after a hawk moth that can flap its wings 30 times a second. However, the activity exhausts the drone's tiny battery in just a few minutes, according to National Geographic. Another drone type soars like a pigeon and perches unobtrusively on a power line to observe a surveillance target with a camera. 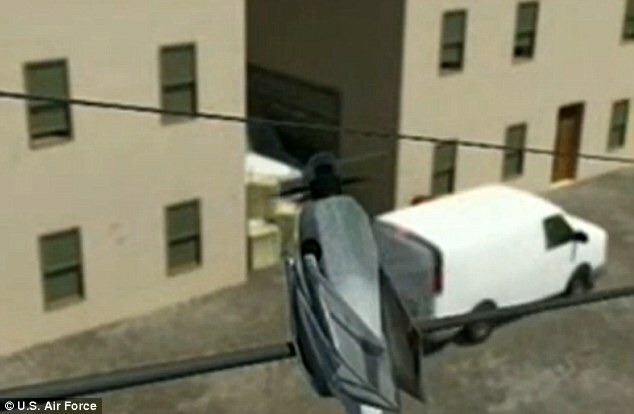 The Air Force is working on technology that will allow the drones to steal electricity from power cables and other sources - so they can continue to operate for days or weeks on end. 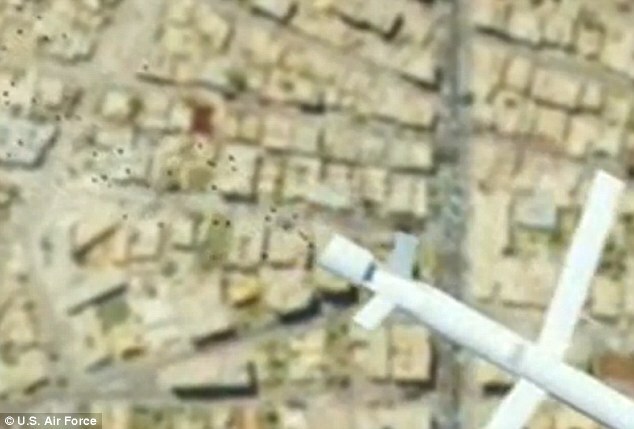 The Air Force training video shows a winged MAV following a target as he drives through the streets of a dense city. 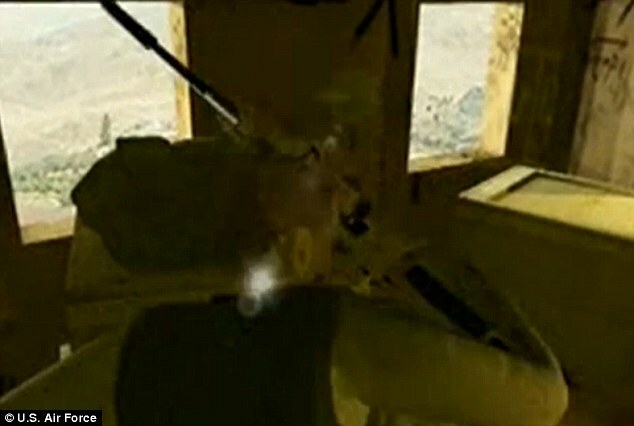 Advanced sensors will enable 'optic flow,' which will allow remote pilots to fly by 'sight' - rather than flying by GPS, which can be disrupted by buildings or deliberately jammed by enemy forces. 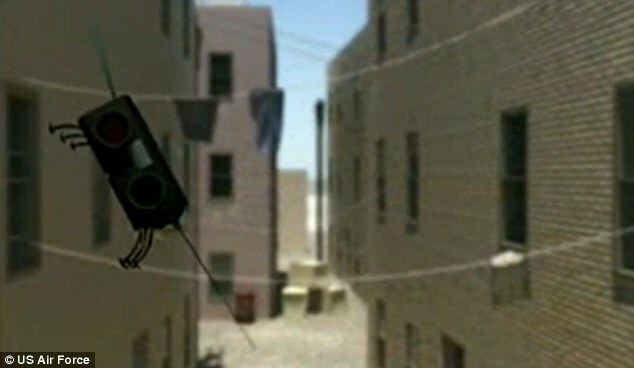 The video depicts three drones following the target into a house, where they maneuver hallways and rooms undetected. 'Small size and agile flight will allow MAVs to covertly enter locations inaccessible by traditional means of aerial surveillance,' the narrator says. 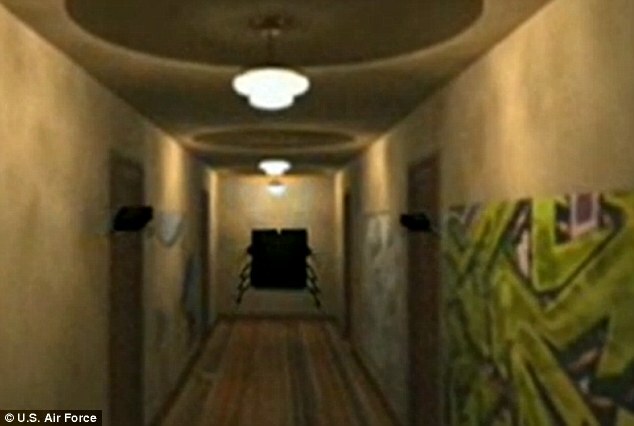 The video follows the drones as they fly through an open door and sneak up behind a man who is aiming a sniper rifle. 'Individual MAVs may perform direct attack missions and can be equipped with incapacitating chemicals, combustible payloads or even explosives for precision targeting capability,' according to the video. 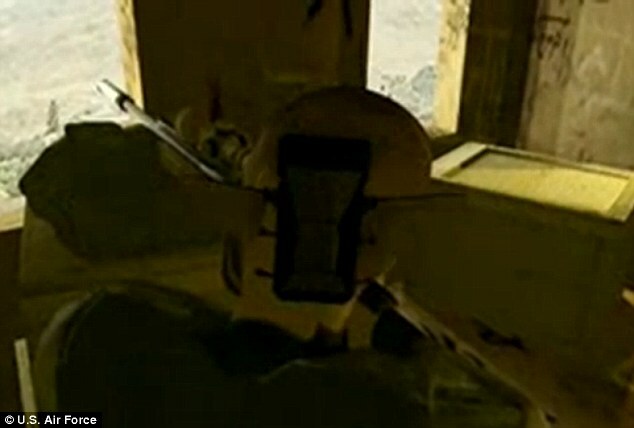 On screen, a small, hovering vehicle pauses before shooting the man directly in the back of the head.